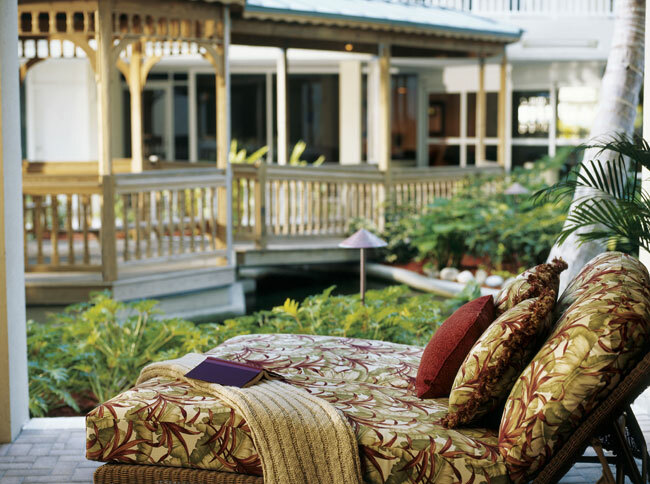 Looking for a romantic vacation or peaceful getaway? 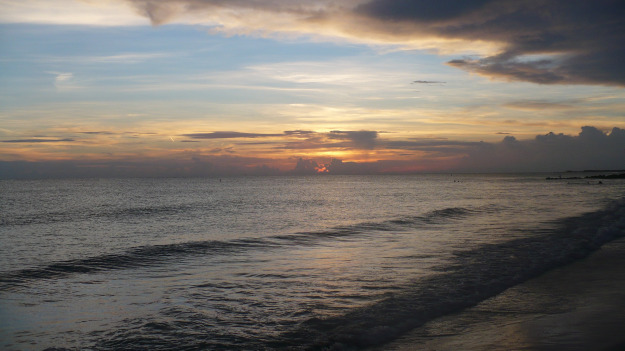 If you are feeling the need for romance or serenity, then Lido Key is the place for you. Most of you probably have never heard about this wonderful place, but it is quite a jewel, and is home to an amazing shopping and dining area called St Armand’s Circle, that is quite well known. Lido is much more open, and not nearly as developed most Florida beaches. This makes for a wonderful place to use as your getaway. 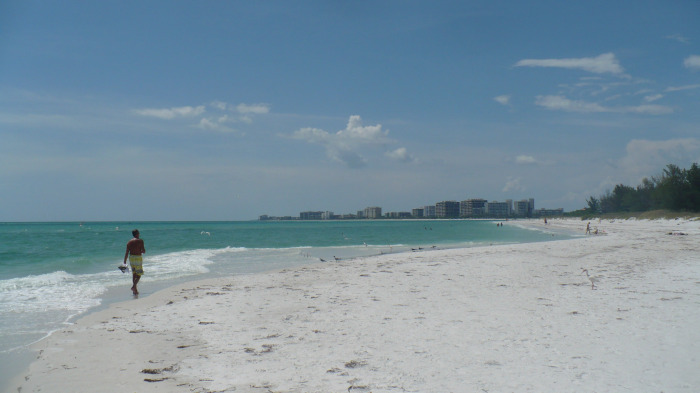 The beaches are very natural, and Lido Key beach itself is a fairly good size beach, however it is sparsely used. In fact, part of the north beach has a refuge for sea turtle nesting . This makes it a perfect place for enjoying long walks and beautiful sunsets. Everything about this place says beauty & romance. Even the initial entry into the key is gorgeous. 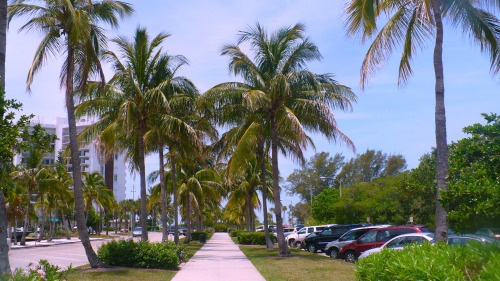 The streets are well kept, and lined with huge palm trees and even have medians that are full of palms and greenery. 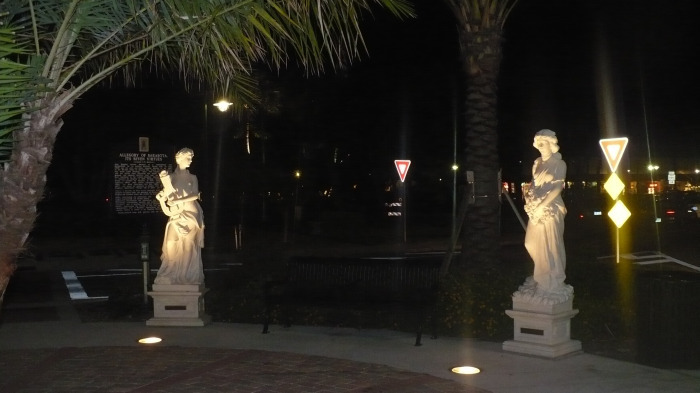 A very special part of Lido key is St Armand’s Circle. here you'll find a wonderfully eclectic collection of shops and restaurants in an area that is decorated with Greco-Roman style statues that at night is a picture of romance. 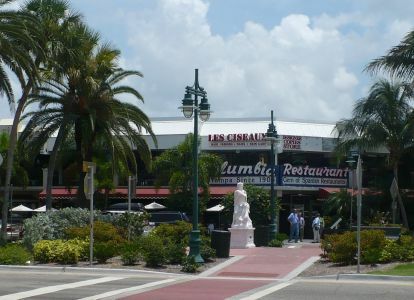 There is a great selection of restaurant styles that range from local seafood, to an establishment like the Columbia – a world renowned Spanish Restaurant. When we were there, we enjoyed an Italian meal at a sidewalk café. Later we walked around the shops, ending the evening with homemade ice cream from one of the local shops. Accommodations here are mostly small to medium resort style hotels. So, you will have a nice place to stay, without being in an overcrowded hotel. You may even be able to relax in a spa. We stayed at the Lido beach resort and really enjoyed it. It was laid-back, yet had some very nice amenities. The resort seemed to me to be very representative of the style of the island overall. If enjoying the beach, romantic walks, fine dining, unique shopping, and getting some well deserved rest & relaxation just isn't enough for you, don't worry. There is plenty to do within just a short drive. For more info on this, as well as tips on how to get here, go to the Tampa Bay Beaches page.